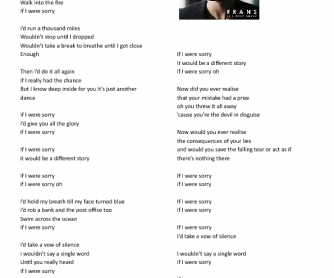 A worksheet based on a song "If I were sorry" by Frans. For pre-intermediate or intermediate students. 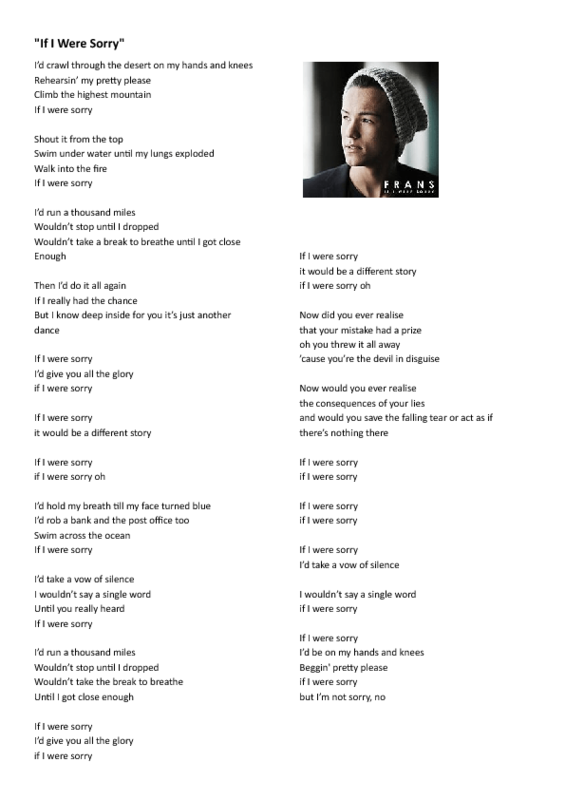 Students listen to the song and answer some comprehension questions. The goal is to revise the second conditional with the emphasis on the unreal conditional sentence that expresses events that are hypothetical or unreal ( the use of “were” even if the pronoun is singular).